Large Popular Wedding Candles for Sale Pillar Candles Cheap Multi-colored Religious Pillar Candle, is made of Paraffin Wax.Have different sizes and many colors. Mainly use for wedding ,religious activity, household lighting, decoration, wedding decoration, party decoration, and etc.The pillar candle have white,red,blue,purple,green and yellow. We have exported this kind of candle to many countries. Customer's logo can be printed on our candles. Feature: long burning time, long storage time, smokeless, dripless. Aoyin Xingtang Candle Co.,Ltd, is a candle professional manufacturer in China. We mainly produce white candles, tealight candles, pillar candle,fluted candlePillar candle,Glass Candle, Art Candle and so on. Our factory covers an area of 10,000 square meters, and we have about 300 employees. The production capacity is amount 30*20ft containers per month. Welcome to visit our factory. A: Pls inform us the specification or the candle pictures, size and quantity, then more exact price will be sent to you asap. Q: Could I buy 1 pc or 1 carton as a sample or small order first? A: We are honored to send you samples for quality check. Especially for the new customers. For delivery time, 10-20 days after confirm the sample order. Q: Could I use my own logo? A: Yes, if you make your own logo, MOQ is 1*20fcl container. A: We have passed the SGS certification. Every candle will be fully assembled and carefully tested before it's packed for shipment. There also have White Candle,Color Candle,stick candle,Tealight Candle,LED Candle,glass candle,Wax Light Candle,art candle and so on. Looking for ideal Wedding Candles for Sale Manufacturer & supplier ? We have a wide selection at great prices to help you get creative. All the Popular Pillar Candles Cheap are quality guaranteed. 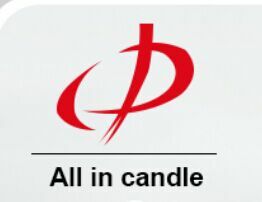 We are China Origin Factory of Popular Pillar Candle. If you have any question, please feel free to contact us.